Hi, I'm Crystal Tost, an award winning Calgary REALTOR® whose successful helping buyers and sellers in Tuscany, Calgary. I'll be showcasing a home for purchase in this popular Calgary neighbourhood, located at 669 Tuscany Springs Boulevard NW Calgary, AB T3L 2Y2. Whether you want to buy or sell Calgary real estate, I get the job done efficiently, effectively and in your best interests. You can find Homes for sale in Tuscany Calgary with photos, in-depth information and all the latest listings. Tuscany Calgary homes for sale are updated daily as they're released by the Calgary MLS®. Read and enjoy! Calgary homes for sale have sales drop consecutively for fifth straight month in 2015. CREB statistics show that Calgary home supply may be coming to a crawl in response to the slowdown. 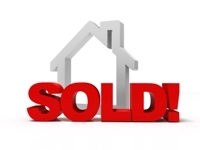 New listings were around three thousand last month which is an eighteen percent drop from 2014. All data provided is from the Calgary Real Estate Board.